Congress and the President are considering some of the most substantial changes in federal support for affordable housing in decades—massive cuts to CDBG, HOME and other HUD programs, as well as tax reform that could fundamentally change the Low-Income Housing Tax Credit program. 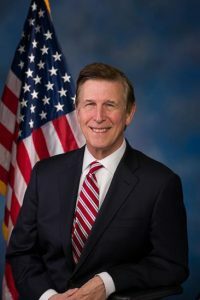 Join the Alliance for Housing Solutions on Monday, May 15, 8 AM – Noon at The Church at Clarendon, 1210 N. Highland Street, Arlington to hear keynote speaker Congressman Don Beyer and an expert panel discussion on the latest news of the federal budget and tax reform. What are the implications for the housing industry locally? NVAHA is happy to be a co-sponsor for this event.